Large Blue Plastic Shopping Basket - 18 3/4 in. W x 12 1/2 in. Increase your sales - customers will buy more! 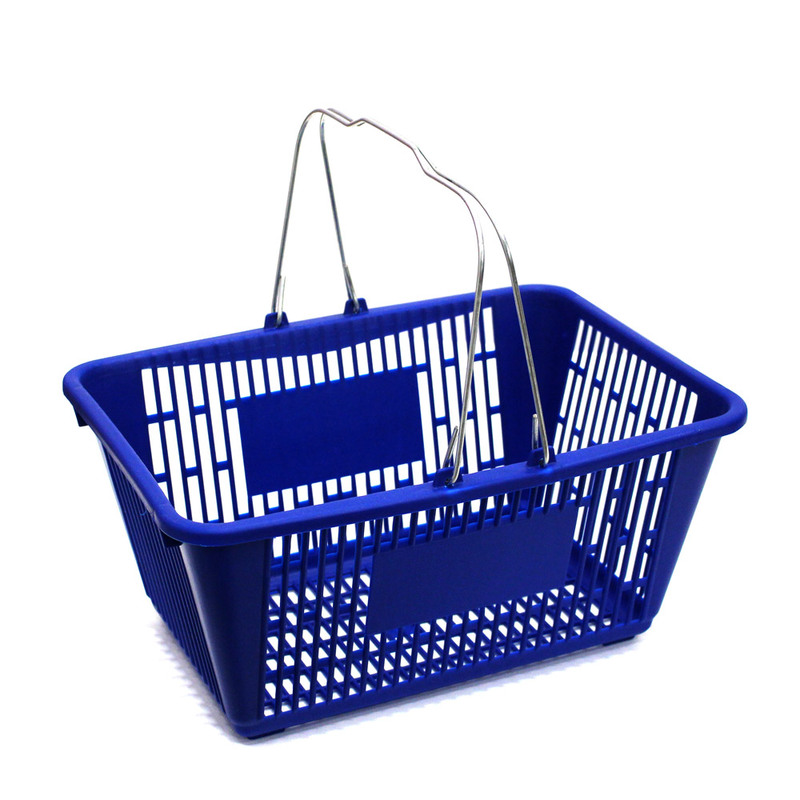 The Blue Jumbo Shopping Basket is attractive and break resistant. Heavy duty steel handles for easy carrying. These plastic shopping baskets also fit our shopping basket cart, item 2897. Sold per piece. For even more options, we ask you to take the opportunity to explore our full collection of shopping baskets at Specialty Store Services now.